A panorama of Lucca’s vast Piazza dell'Anfiteatro - table with view and sublime lucchese cuisine included. For example, if you’re searching for a more affordable city than Florence or Siena, lesser known but equally beautiful Lucca is a viable alternative. 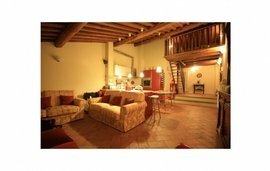 That’s why we’re highlighting the appeal of this city centre apartment in Lucca. Spacious communal areas and original features are typical in Lucca’s historic apartment buildings. 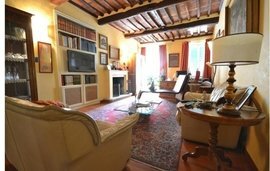 Located in the centre of Lucca in a traditional Tuscan neighbourhood, this apartment occupies two floors of a typically historic building, with an elegant entrance lobby and courtyard. The property also includes an outdoor terrace of around 12m². You’ll be charmed by this large living room with tall windows, polished floors and an elegant staircase. On the first floor you’ll find a large entrance hall, living room with fireplace, kitchen, dining room, double bedroom, bathroom and laundry room. Upstairs, there are two further ensuite bedrooms, with access to the terrace. Characterised by high ceilings and tall windows, this apartment combines painted frescoes and ornate features with comfortable living accommodation. 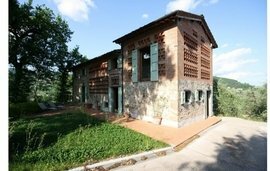 A truly unique and well-loved home, a short walk from the local bakery and grocery store. Lucca itself is the principal city of Lucca province, a thirty-five minute drive inland from the coast and the seaside resort of Forte dei Marmi. While there are less in the way of world-famous landmarks to visit than in other Tuscan cities, Lucca’s low profile is actually its main attraction. Old world buildings and piazzas, where trattorias serve local wines and sublime specialty dishes, are all the more captivating for their lack of crowds compared to more obvious tourist hotspots. You’ll also receive a warm welcome from Lucca locals - although the city’s character remains resolutely Tuscan. Here, everyday life carries on as it has for hundreds of years, against a dramatic backdrop of history and beauty. Lucca can easily be explored on foot, taking in twice weekly markets, botanical gardens, the Duomo and 4km of panoramic city views from atop the old city walls. 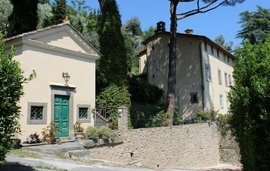 Meanwhile, a few minutes’ drive will take you to idyllic hillside hamlets such as Pieve Santo Stefano. This means that even from your central city apartment a view of the mountains is never far away. Our Winkworth Italy real-estate experts wax lyrical about Lucca for good reason. 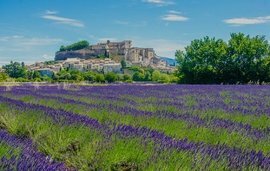 It’s not just discerning property buyers that recognise it as an excellent location with a stable property market. 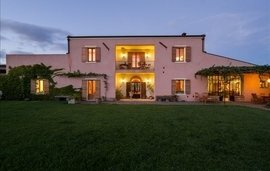 Those discerning tourists that are in on the secret also fly in via Pisa airport - a half hour’s drive away - on city breaks and foodie pilgrimages, bringing with them a demand for authentic holiday rentals. 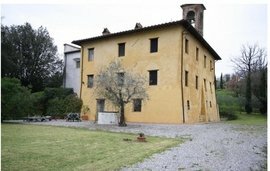 So, if you plan to live away from your Lucca apartment for some of the year, there is the potential to earn short-term rental income too. To find out more about our featured Lucca apartment - or any of our exceptional properties for sale in Lucca - get in touch with the Winkworth Italy office. 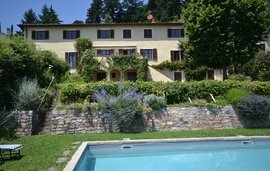 We’ll be happy to arrange a viewing so you can see for yourself just how much exceptional Tuscan property your budget can buy.